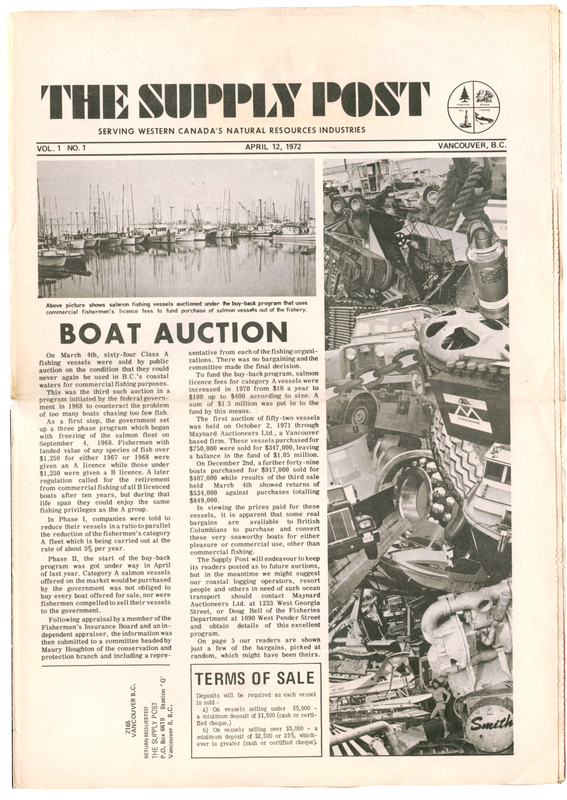 Back in the early 70’s, long before the internet, long before tradeshows and when equipment auctioneers were in their early days, my grandfather Ken Kenward saw the need in the BC marketplace for a printed publication that showcased the latest news and information from the heavy industries of the day along with the most current equipment for sale. In those days, it was mostly mining equipment on display, but by the later 70’s forestry and construction equipment became the focus. This led the publication into aggregates, trucking and much more. As the years went on, we widened our focus to Alberta and the rest of Western Canada as well. In 2008, the thought of an Eastern edition came alive, making us a very unique organization in the market. As of now, we’re able to offer both national and regional programs for advertisers, and offer a direct mail list of over 23,000 monthly readers along with over 9,000 newsstand copies to accompany them. The original days had my grandfather literally driving from his home in Vancouver – on a monthly basis - out through the Okanagan cities of Penticton, Kelowna, Kamloops, and up to Prince George to see advertisers. There he would collect up hand-written copies of equipment listings, take photos of prominent machines, and drive back to the big city to process the notes and images (hoping they would come out nicely) and turn those notes into advertisements. These editions were printed out on a large web-style press and delivered to our readers around 3 weeks later. Perhaps the world didn’t move quite so quickly back then (which isn’t a bad thing!!). Luckily these days though, we have digital photography, 32” graphic design monitors and a world-leading press that prints our publications within hours of delivery of the ad files. Canada Post moves our monthly copies to readers quickly and efficiently. We are still family owned and operated. My wife Debra and I are in the office every day with our ‘office family’ putting out our 2 monthly publications (Eastern and Western Canada) and helping our advertisers navigate the online marketing world as well. Our staff are passionate about the industries we serve, and are always helping us find new ways to help match up buyers and sellers of equipment and trucks. We thank them for their continued efforts, and for continuing our reputation of the type of personal service that only a family owned organization can truly provide. While recognizing the contributions of the earlier generations of our family, we thank our loyal advertisers for putting their faith in us to deliver them results for the last 45 years. So many of our long time advertisers are still with us some 30-40+ years later. Many of them have grown up with us (and hopefully a bit BECAUSE of us!) and we greatly appreciate you all. Lastly, to our loyal readers who continue to renew their subscriptions, and search our website for the finest equipment and truck inventories that Canada has to offer…..we thank you too. We’ve received many many letters over the years thanking us for our service and for being a publication you look forward to receiving each month. This is what drives us forward, and what keeps us going.